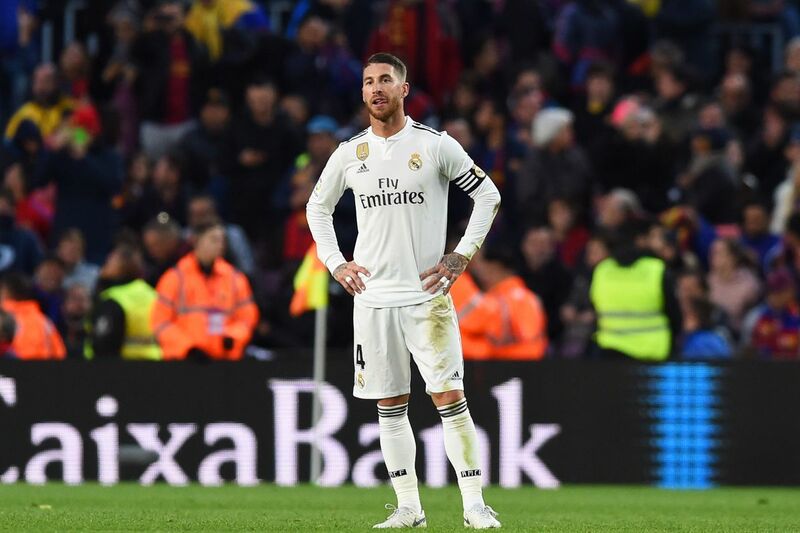 Sergio Ramos admits he made a large error of judgment by purposefully getting himself booked during Real Madrid’s Champions League last-16 first leg against Ajax. Ramos was charged by UEFA for receiving a yellow card on purpose during the last-16 match against Ajax in order to serve a suspension before the quarter-finals. Real were leading the tie 2-1 at the time but were stunned in the return leg at the Bernabeu as they lost 4-1 and crashed out of the competition. “Absolutely it was an error and I take the blame 200 percent,” Ramos acknowledged. The 32-year-old made the admission on Facebook as he sought to address a number of issues stemming from a disastrous few weeks for Real. “As footballers, we like to do our talking on the pitch but this season is not turning out that way,” Ramos stated. “Recent events have been disastrous and I’m not hiding. We are not hiding. We the players are primarily responsible and I, as captain, more than anyone. Ramos watched the second leg against Ajax from his personal box at the Bernabeu, while being filmed for a documentary, and he admits the timing of that was less than ideal. Ramos played down an altercation with Brazilian team-mate Marcelo in training on Saturday. The Spanish defender also denied reports of a rift with Florentino Perez following a confrontation in the dressing room, when the Real president reportedly threatened to sack him. “Dressing room issues are discussed and resolved in the dressing room,” Ramos said. Interim head coach Santiago Solari’s future at the club is in doubt after a disastrous week that saw them lose twice to Barcelona and crash out of the Champions League but Ramos insists that is not a matter for Real’s players. “It’s a decision that’s not ours to make and in which we never interfere,” Ramos said. In conclusion, Ramos said: “These reflections are, without doubt, the result of a deeply disappointing season but if success didn’t stop us, we’re not going to let defeat stop us. It’s our obligation to carry on, to work and to evolve. “And to remember that some of us are lucky enough to play for Real Madrid, some of us are lucky enough to form part of its history, but Real Madrid was, is and will always be Real Madrid. No one name makes the legend of Real Madrid, but we have all written that legend together. Real are third in La Liga, 12 points adrift of leaders Barcelona and five behind Atletico Madrid. They host Celta Vigo on Saturday.